Contact Debbi Pack at 614-292-7051. Debbi will initiate an invitation to join the PowerShare network. The following screen will appear. 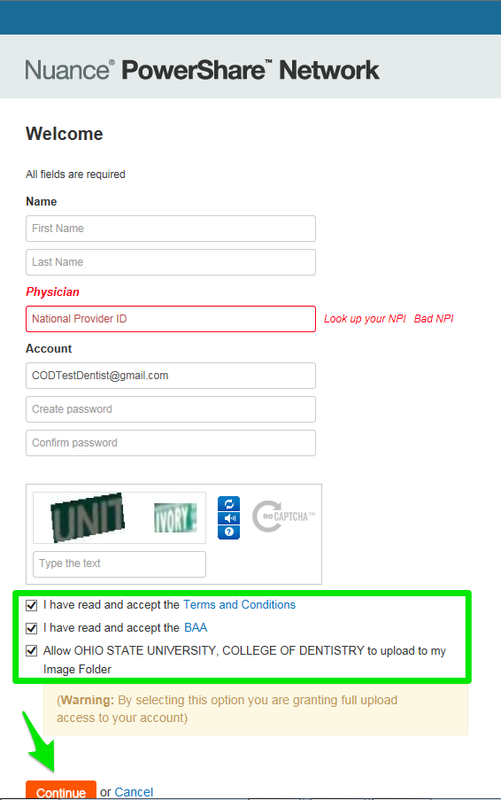 ALL fields must be filled out and the TWO checkboxes circled in green in the image below must be CHECKED before clicking "Continue". NOTE: When you type in your NPI number, you will need to select a box under your name and address that confirms if the information from the NPI is yours. 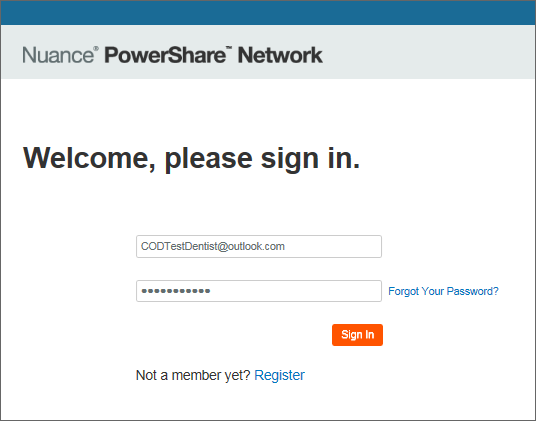 You will then sign in to the PowerShare Network using the login information that you created. 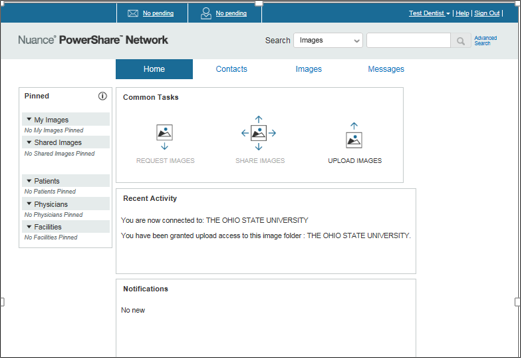 After logging in, you will be directed to the PowerShare homepage. 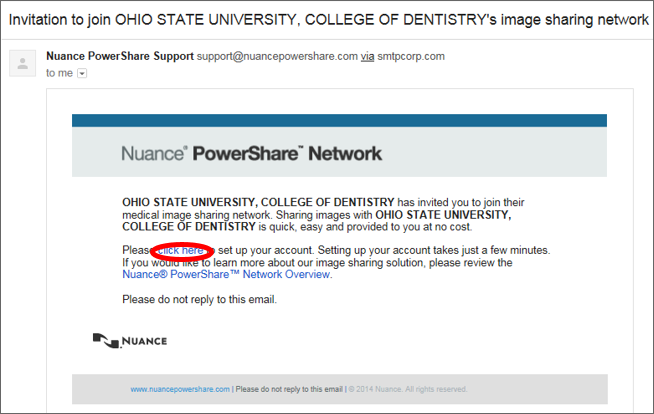 From here you can upload your images to The Ohio State University College of Dentistry PowerShare Network. Please don’t forget to email any relevant clinical findings and medical history of your patient.